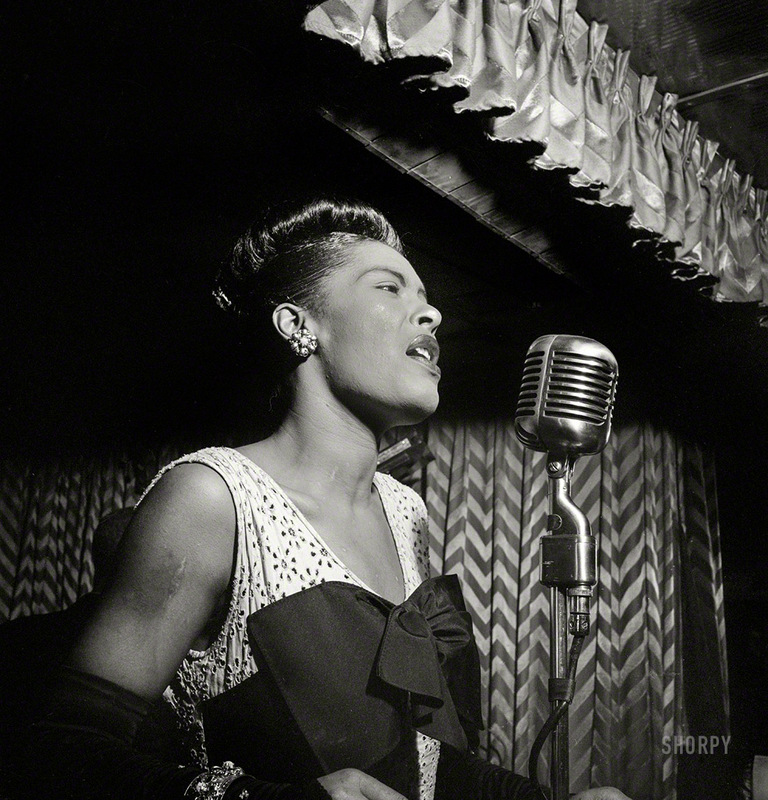 BUY PRINT "Portrait of Billie Holiday at the Downbeat club, New York, ca. February 1947." Medium format negative by William Gottlieb.